The premise behind the KonMari process is that, if you do it right, you only go through it once. I was skeptical that it would work when I first tried it with my clothes over a year ago, but it stuck. So, I took it on for everything, and I’m now a true believer. I love my house in an all new way and my life has a peace it didn’t have before. All my stuff is in its place and it is clear when things don’t belong. During one of my company’s recent Thought meetings, a colleague of mine who was familiar with my KonMari obsession joked that we should add a service for our clients around “KonMari-ing their business strategy.” We giggled at the time, but it has been percolating in the back of my mind ever since. A few weeks back, as we entered our tenth year in business as Thought Ensemble, we did a refresh of our company strategy, and I realize now that I think we KonMari-ed it! We focused in on what brought us joy, and, as a result, we discarded some elements we have been discussing for years that may have been logical but that didn’t spark any passion. We got clearer on what we really cared about and let go of all the things we thought we should do because other consulting firms were doing them, or because they were simply financially rewarding. It has only been a few weeks, but that refreshed strategy has already been a guide to what we should take on and how we should prioritize. There’s been a lot of discussion in the business world over the last few years about making sure you and your company are clear on your “why” or your “purpose.” Perhaps we can take that a step further and look at that process of finding a clear purpose through the lens of whether every element of it sparks joy. 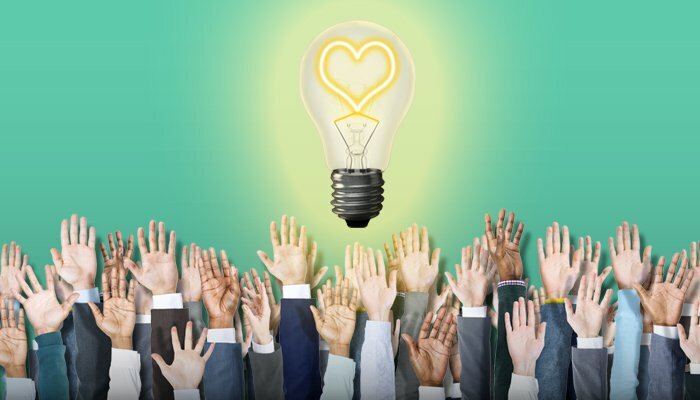 If an organization’s leadership can get clear on what parts of the company strategy and purpose bring the organization joy, then it will help recruit and retain people who are also sparked by those same passions, which will help the entire organization work better together towards a common goal.